The Friends of the U.S. Botanic Garden is a non-profit 501(c)(3) organization. It was created in 1991 to finance the National Garden. 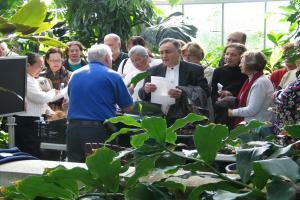 Today, the Friends support the educational outreach activities at the U.S. Botanic Garden. The U.S. Botanic Garden and the Friends share a dedication to demonstrating the aesthetic, cultural, economic, therapeutic and ecological importance of plants to human well-being. The Friends support the creation of extraordinary programs and events that delight, educate and inspire visitors to become more active stewards of the plants that support life on earth. 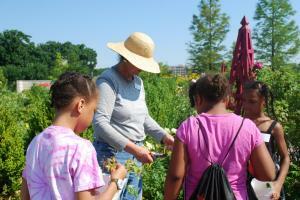 The Friends organization achieves its mission by helping coordinate around 200 public programs each year at the U.S. Botanic Garden, reaching thousands of participants. The Friends administers registration fees, supports the U.S. Botanic Garden volunteer program, sponsors an outreach internship, and funds the Hands On Plant Science (HOPS) program. To reach the Friends office, please call 202-225-1281.